The world of performance racing and motorsports is defined by innovation. Where performance and speed are key criteria, maintaining engineering excellence is crucial. As such, the sector is increasingly looking towards technologies like additive manufacturing to drive innovation. 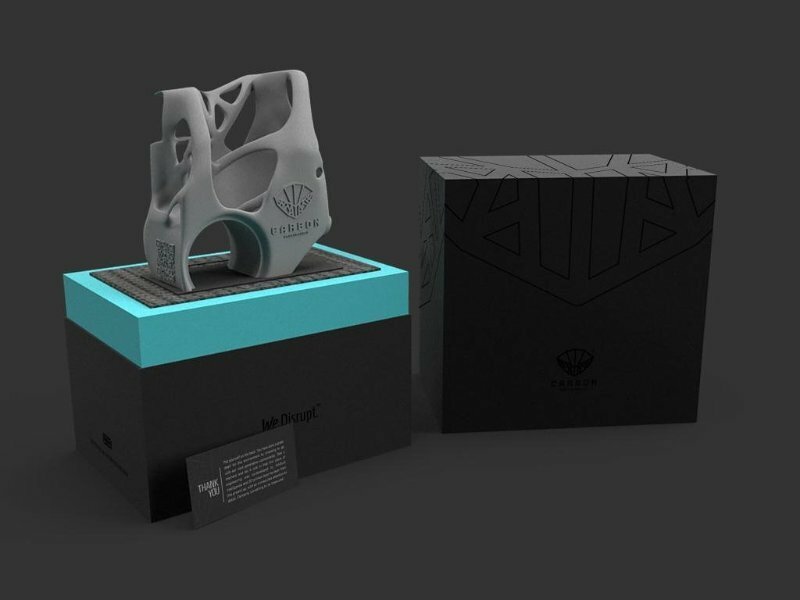 One company leveraging this development is Carbon Performance, a UK-based startup that manufactures high-performance components using additive manufacturing. Using AI and blockchain technologies in addition to AM, the company aims to deliver the next generation of smart automotive components. 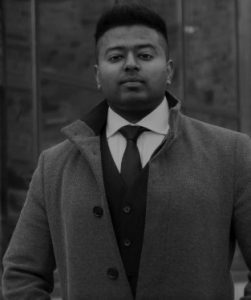 We spoke with Carbon Performance’s Managing Director, Revannth Murugesan, to explore the benefits of additive manufacturing for high-performance racing and the current status of AM within the industry. Could you tell me a bit about Carbon Performance? Carbon Performance is the world’s first automotive consumer technology retail brand built entirely around additive manufacturing. In essence, our goal is to bridge the gap between additive manufacturing technologies and the consumer market. Using AM, we design and manufacture high-performance components, like suspension uprights and brake callipers, for the automotive industry. While there are a lot of things you can do with additive manufacturing, from prototyping to manufacturing, many of the benefits haven’t directly reached the end consumers. Of course, there are challenges in trying to bridge this gap, and that’s where Carbon Performance comes in. What is the vision behind Carbon Performance? Having been in the automotive industry for quite a while, we understand that global carbon emissions are at an all-time high. We’re trying to solve this environmental issue within the automotive industry and solve inefficiencies in the components themselves by using artificial intelligence and 3D printing. So our end goal is twofold: 1) reduce the impact of manufacturing on the environment and 2) bring manufacturing back to the UK. What benefits does additive manufacturing bring to performance racing? First, I’d say that additive manufacturing improves performance. Let’s take suspension components as an example. With traditional manufacturing, manufacturers would take a block of metal and cut away material to get the final shape. 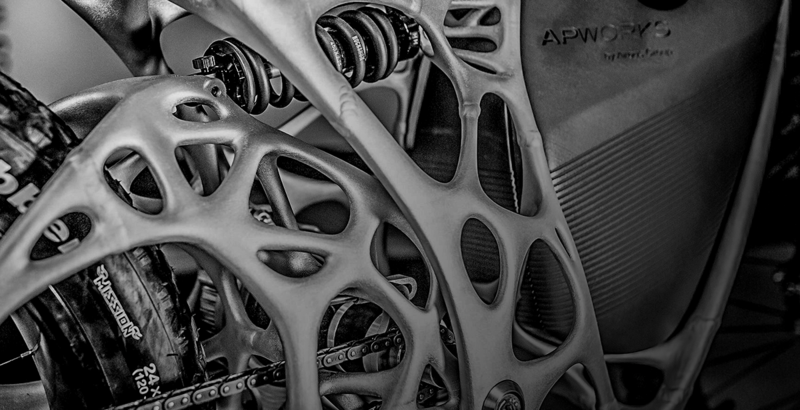 In contrast, using additive manufacturing our suspension components are 25% more lightweight. This improves the unsprung mass of a car, which literally translates into improved performance. At this moment we have eight to ten per cent of material wastage, but we plan to bring this down to zero per cent, which is quite a challenge. Second, additive manufacturing can improve fuel efficiency. With our high-performance customers, we can demonstrate this in terms of numbers. For example, we can actually make a car go six seconds faster over the course of 80 laps. In performance racing, a margin of this type is huge. With the extensive experience you have in the industry, how have you seen additive manufacturing evolve over the years? I was 14 or 15 when I bought my first 3D printer. Back then, the industry was much earlier than where we are today in terms of 3D printing. For example, material options were very limited. ABS was luxury back then! I’ve seen the industry grow from desktop 3D printing to industrial additive manufacturing with SLA, SLS and, of course, metal 3D printing. That’s very encouraging. The industry is growing rapidly: around 38% CAGR. It’s gone from a handful of 3D printer manufacturers to thousands of manufacturers, service bureaus, business consultancies and material suppliers. The ecosystem is clearly evolving. What we’re trying to do with Carbon Performance is to push the industry to its limits and bring consumer products to market, rather than the technology being limited to specialist applications. That’s pretty much where the industry’s at right now. 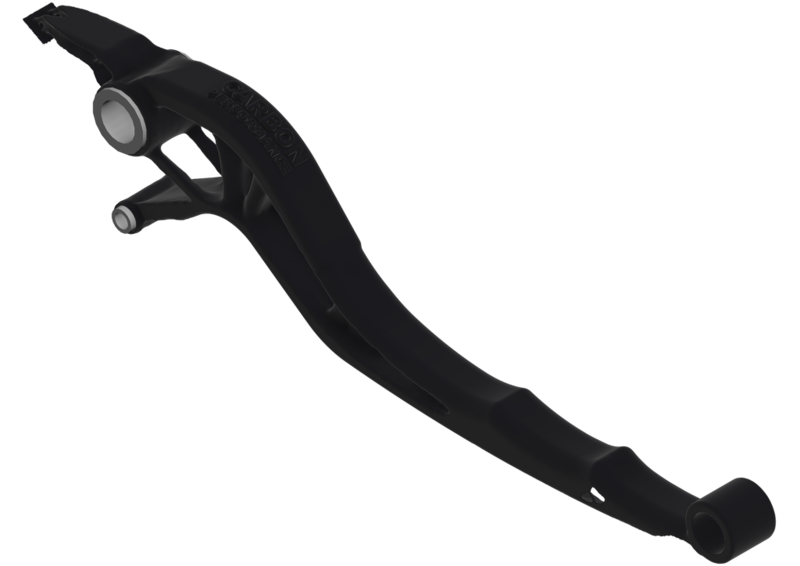 Could you expand on how you’re using generative design and optimisation tools, and what benefits they bring to the production process? Generative design is still quite in its early stages. There are really only a small number of companies that provide this. Having said that, we use technologies like generative design to bring new products to the market. Generative design software, for example, helps us to come up with radical solutions. In essence, we’re trying to make our products at least 40% more lightweight. So we use generative design, lattice and topology optimisation tools to reduce the weight of the components and to improve their performance. You’re also using AI and blockchain. Could you explain how Carbon Performance uses these technologies in conjunction with 3D printing? First, it’s important to say that artificial intelligence is often misunderstood: it’s not a single technology, but rather an umbrella term for a range of technologies. Generative design is actually a type of artificial intelligence because designs are generated using machine intelligence. We’re currently in the middle of developing our own generative design software, which we plan to complete in 2020. It will be the UK’s second generative design software. Blockchain covers the security side of things, which I think is immensely important. IP protection and copyright/trademarking is a key issue, as theoretically anyone can get hold of your STL files and print it. That’s where the 3D printing market currently is right now. We need something that adds that additional level of security. Our use of blockchain is actually currently in beta stage. So, for example, we can take an STL file and distribute it to trusted partners across the world, say in Asia or North America. These partners have a 16-digit key and only they can access the file. No one else can access said file or download it. 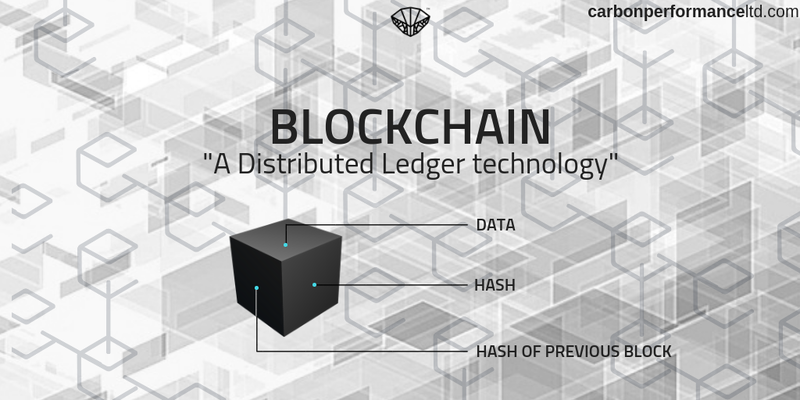 That’s where blockchain comes in. The concept of blockchain for 3D printing is, admittedly, still quite early, especially when it comes to the file sizes you can work with. I’m looking at probably 5 to 10 years for the blockchain technology to evolve into a decent storage platform like iCloud. You mentioned the importance of security. Could you expand on this? Let’s compare AM to traditional manufacturing, where there are trademarked and copyrighted designs. With AM, you have open-source software where anyone can produce a design. You modify the design of the file multiple times. So potentially, we could spend months designing a component, and someone else could get hold of the STL file and claim ownership of it. Security is the most essential part of the 3D printing process. And it’s not just a question of ownership. Counterfeit products could pose a real problem, especially in the automotive industry. When we produce brake callipers, for example, what if someone else gets hold of the STL files and produces a counterfeit version? Here, it becomes a question of performance as well as safety. The product could fail, and people would still buy it unwittingly because it looks similar. Are you able to share any client success stories? We’re currently working with an organisation in Manchester to develop the world’s first 3D-printed electric go-kart. We look to unveil this in about six months’ time. We’re also working with a Kent-based racing team to develop a Ducati swing arm. We’ve had an overwhelming response for this, having taken 250 orders as of now. How do you see the landscape changing for additive manufacturing over the next 5 years? In terms of skills, in my opinion, innovation is all about people and technologies. There’s no point in pushing for advanced technologies without the people to adopt them. Currently, the industry lacks design for additive manufacturing skills. This is especially the case in the UK. A lot of work is being done in this area. So in the UK, for example, we have the University of Sheffield’s AMRC and the Manufacturing Technology Centre (MTC), both of which offer training skills. And at Carbon Performance, we personally offer STEM training to high school students as part of our CSR. We offer them training in DfAM, generative design and optimisation. We’ve seen at high growth in the number people wanting to learn these skills, especially for the consumer applications. Are there are any challenges that you foresee? There are a lot of challenges, to be honest. The issue of IP protection is perhaps the most challenging. The second is enforcing strict manufacturing rules and standardisation. For example, you can’t enforce the same process parameters across different machines in the market. Third is the availability of suitable materials. While we do have aluminium and titanium powders, there are still a lot of inconsistencies in the properties of these powders which is a problem when trying to design accurate parts. Finally, there’s the volume question. Manufacturing generally operates in a high-value series production environment. But in motorsports and AM we operate on a low-volume/high-value production model. I’d give it another 20 years for AM to truly develop into a high-volume/low-value manufacturing model. What does 2019 look like for Carbon Performance? In 2019 will see our components actually in cars on the roads, trusted by consumers. When I talk to consumers and clients who have been in the automotive industry for 40-50 years, they still have doubts that 3D printing can produce metal parts, even when I show them our components. have doubts about 3D printing that prints metals. That’s probably because the average adoption time in the industry for new technologies takes four to six years and it costs millions of pounds. So we’re trying to break this stereotype that automotive components are these hard, fixed components by showing that we can develop smart components and applications. The most important thing is that we’re creating an ecosystem of smart, connected components. For example, we have QR codes embedded in our components, allowing you to see the specifications of a car. We’re also working on life sensors for motorsports so you can see live data and stresses in the product itself. Finally, we plan on entering the North American market in March and have 50 applications in the pipeline. Finally, you mentioned that it takes four to ten years for an industry to adopt new technologies. Where is the rate of adoption for AM within performance racing? It’s still evolving, to be honest. McLaren, of course, is famous for having AM machine on the trackside during the races, but that’s just for fitment purposes, they do it for fitment testing. But the reality is that while there’s been a lot of innovation in Formula 1, the inconsistencies in the materials and processes are still very difficult to overcome. I would give it another 5 years for performance racing to completely adopt AM as a manufacturing method. To learn more about Carbon Performance, visit: www.carbonperformanceltd.com.